The quickest way to control and manage the volume of your Windows 10 PC is using the Volume control icon in the system tray. However, you might encounter issues in using it especially if you recently updated your PC. After the update, if it no longer responds to mouse clicks, be it a right-click or left-click, read on as this post will show you what you can do to remedy that issue. If you think that you’re the only one who has experienced this problem, you are mistaken as several users also reported that the volume icon does highlight and shows the volume level if you hover the cursor over it but it does not really do anything at all. This is definitely the quickest way to change the audio output in Windows 10 especially when you have to change from speakers to your earphone and whatnot. If you are one of the users whose Windows 10 Taskbar Volume Control icon has stopped working and every time you click on the icon and nothing happens and you’re still not able to adjust the volume of your Windows 10 computer, read on as this post will show you what you can do to fix that problem. Although the audio is working just fine, you will still not be able to adjust the volume from its control icon. The problem is most likely related to the UI interaction. There are times when icons in the taskbar also experience the same issue where you can hover your mouse over them but nothing happens when you click on them. As mentioned, the issue with the volume icon does not seem to affect the actual audio of the computer. Double check to confirm and if it turns out that the audio is indeed working fine, you can use the hardware of your keyboard to manage and control the volume, however, the software just won’t work. This issue is really inconvenient especially for users who connect their laptops to a bigger display. To fix this issue, here are some suggestions you need to check out. This option may sound silly but it has actually worked in fixing the issue for some users. So if anything gets stuck on the taskbar or system tray, the best way to revive them is by restarting Windows Explorer. Right click on the taskbar and then select the Task Manager. Next, look for Windows Explorer under the Processes tab. Then right click and select restart. After that, wait for the restart process to be completed and for the user interface to refresh. Note that you will notice the Taskbar disappearing and reappearing again. It will reload the entire user interface and allows you to access volume icon. It should work this time. Tap the Win + R keys to open the Run dialog box. Type in “services.msc” in the field and hit Enter to open Services. From there, look for Windows Audio and then right click on it and go to Properties. After that, you have to make sure that the Startup Type is set to Automatic. Then click on the Stop button. Once it has stopped, start it again. Now restart your computer and see if you can now access the volume icon on the taskbar. If the glitch in your audio has something to do with software, chances are it might be related to the audio driver – it could be that the newest version of your Windows 10 does not work well with the old version of the driver. This is why you have to update your audio driver to the newest available version. 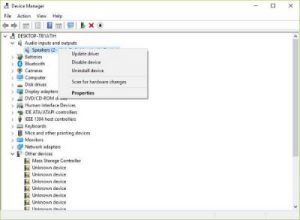 Tap the Win + R keys to open Run dialog box and then type in devmgmt.msc and tap Enter or click OK to open the Device Manager. Expand the section for the outdated device drivers. And then select the outdated driver(s) and right click on it/them. From the drop-down menu, select the Update Driver option and follow the on-screen instructions to install the latest version of the driver. 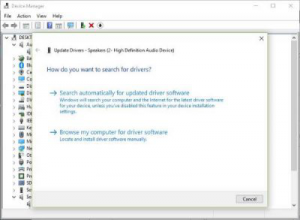 Then also click on the option, “Search automatically for updated driver software. Restart your PC after the installation. Note: If updating the Audio driver didn’t work, you can go to the website of your PC manufacturer and look for the support section where you can download the drivers for your computer. You just need to take note of your PC’s correct model and model number so you can find the appropriate driver. 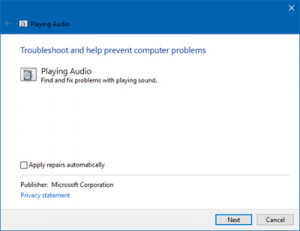 Since the Windows 10 operating system has the Playing Audio Troubleshooter, you can use this troubleshooter to try and fix the volume control issue on your PC. You can access this tool in the Control Panel or in the Taskbar Search and even in the Troubleshooters page of Windows 10. Run this troubleshooter and see if it can fix the issue or not. On the other hand, if none of the options given above worked, there is also a one-click solution you could check out to resolve the issue with the volume of your PC. 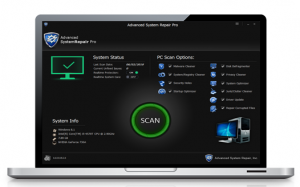 This program known as Advanced System Repair is a useful tool that could repair corrupted registries and optimize your PC’s overall performance. Aside from that, it also cleans out your computer for any junk or corrupted files that help you eliminate any unwanted files from your system. This is basically a solution that’s within your grasp with just a click. It’s easy to use as it is user-friendly. For a complete set of instructions for downloading and using it, refer to the steps below. Perform a full system scan using ASR. To do so, follow the instructions below. 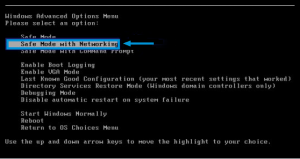 If done correctly, the Windows Run Box will sow up. Type in the URL address, https://errortools.com/download/advanced-system-repair/ in the Run dialog box and then tap Enter or click OK.